There are approximately 350,000 owner operators driving in the United States today, moving our freight across the country day after day. What is an independent owner operator? Simply put, anyone who owns a semi truck and is driving freight either under their own authority or in a leased truck under contract with a freight company. Owner Operators make up 9% of the truckers on the road today and earn on average $50,000 per year. They drive approximately 101,000 miles per year and haul everything from building materials to consumer goods on our nation’s highways. In fact, drivers spend more than 100 nights a year away from home on average. Chris Brady, head of CMVC, noted recently on Overdrive that expanding demand for owner-operators has improved the business environment for owner-operators’ who are now receiving better compensation from carriers that are establishing programs to help drivers become owner-operators with their own trucks. There are a variety of factors that might lead a driver down the path to becoming an independent owner operator.First, on average they earn considerably more than other drivers–in some cases up to $100k more! For many drivers this can be a deciding factor, even though expenses rise when the choice is made to own your own truck. When you own a truck, you become responsible for any repair and maintenance costs that come up. When the rig is out of commission in the shop for repairs or maintenance, your income dries up unless you have a second truck or trailer. Backup equipment, preventative maintenance, and insurance can all increase your cost per mile. Another big draw to drivers thinking of becoming owner operators is the ability to make their own schedules. 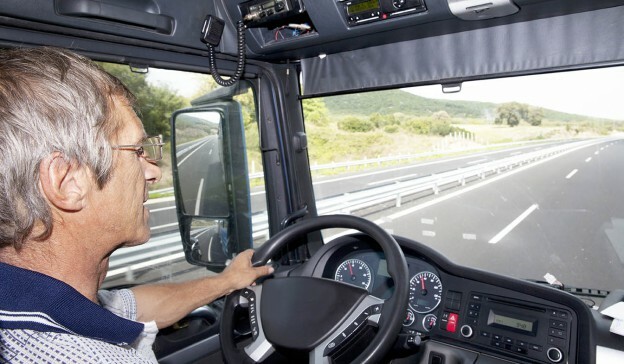 However, there is a downside to this as many owner operators may find they need to take personal responsibility for working long hours on the road. Though many drivers view owning their own trucks as a gateway to greater personal freedom, they may find that their business responsibilities outside of driving are eating up more time than they expect. Many owner operators own their own rigs but work for existing freight carriers, giving them the best of both worlds. Companies like GlobeCon are leading the charge in developing new ways to attract and support owner operators. Traditional owner operator arrangements offer drivers a lot of up-front income, but also leave them responsible for the bulk of work and costs. However, by offering drivers value-added incentives, certain carriers are able to maintain strong, happy fleets. These value adds are great ways for freight carriers to meet independant drivers halfway, creating lasting partnerships. For detailed information, maps, and contact information for the ports of Los Angeles and Long Beach, be sure to download a free copy of our Comprehensive Port Service Guide.